So, I got one hair related Christmas gift (thanks ma! 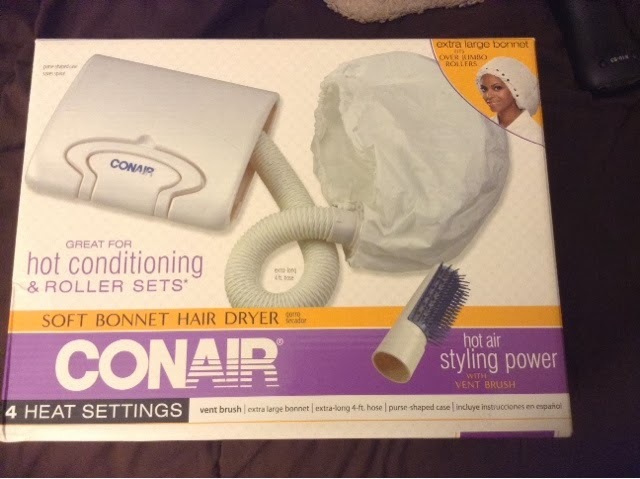 ), this Conair Soft Bonnet Dryer. I'm way too excited about it. My beloved Gold 'N Hot Bonnet Dryer has been on its death bed for awhile now and I've been searching for a replacement. I am hoping this will fit the bill. This bonnet is larger than my original one, which is supposed to be perfect for rollersetting. It also has a brush attachment which I think is kinda cool. I know it's a little old school, but I love bonnet dryers. I always found hooded dryers to be somewhat uncomfortable. Like my neck gets stiff and it never reaches allll of my hair without me having to change positions at least once. With bonnet dryers though, all my hair is covered and I feel like I have a wider range of motion. I have even been known to fall asleep with mine on (lol probably a bad idea guys).I 'm going to use it for awhile, in a few different ways before I do a review on it. Does anyone else have a preference, hooded dryers or bonnet dryers? I'm with you on that. Hooded dryers can be a pain but that's all I'm use to. I'm curious about the bonnet now. Lol. Let me know how awesome your roller set results are. I will! 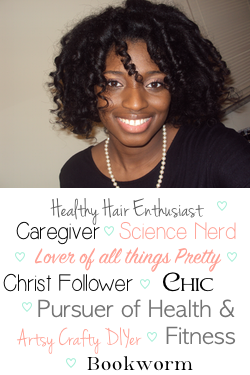 I think I want to try a rollerset with flexi-rods soon. Thanks for commenting, too! I love my Gold'N Hot Bonnet Dryer! I got it so I could fit my big head and large rollers and it has treated me great for a couple of years now! I hope yours is wonderful as well. Yes! I would have repurchased the exact same one if I could have found it. Thanks Aku! I'm a heat cap kinda girl. Its quiet as a whisper. Which is what I need when I'm up doing my hair at 1am. Ha-ha! I'm excited to read your review! Lol I've actually never tried a heat cap. It might be next depending on how this works out.